Bangalore based music organisation Eastern Fare Music Foundation is organising a rock competition and a mega event - "Euphony - A Winter Nocturne" - in association with Mousai and Purple Trope in Guwahati, Assam on January 30, 2016. The event will witness live performance by one of the best Rock n' Roll bands of North East, Voodoo Child, apart from a DJ night with a dance floor, food and beverages and fun activities. The rock competition will be specifically for the bands from eight states of North East India. 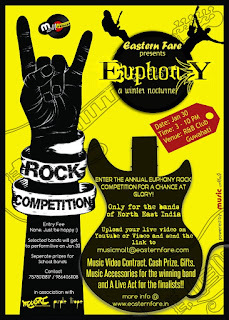 The winning band will be showered with a music video contract, cash, prizes, certificates and gift hampers. The top finalists will get a chance to perform live in front of an enthusiastic crowd at the event. More about the competition here. To be held at the R&B Club in Geetanagar, Guwahati, this would be an event organised by Eastern Fare for the first time in North East. 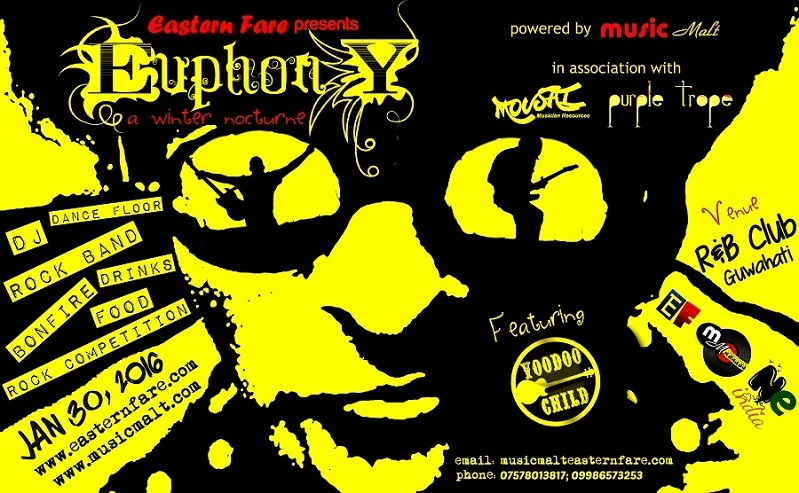 The event will also indicate the launch of Eastern Fare Music Institute's newest branch in Guwahati. Apart from food and beverage, the event will witness live performance by Voodoo Child, a Rock n' Roll band from Assam, dance night with DJ Rittique, live acts by the finalists of the rock competition, bonfire and poolside activities. Located in Koramangala, Bangalore, Eastern Fare Music Foundation engages in providing tutelage to music enthusiasts of all ages. It had its inception in the year 2007 and in today's date, the institute has half a dozen branches all over Bangalore giving Music education to more than a 1000 pupils. 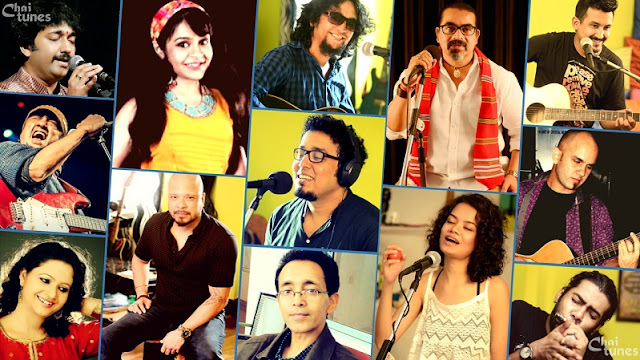 Being one of the India’s foremost independent music schools, the institute encourages and motivates people with a musical inclination to explore their full potential and be able to create amazing work. Tickets available online at Explara! Passes also available at Grill Republica in Zoo Road and By The Way in Hatigarh Chariali, Guwahati.